오늘의 에피소드를 듣고 자주 사용하는 영어 표현을 배워보세요. 오늘 이 시간에는 Makeover 라는 표현을 배우겠습니다. 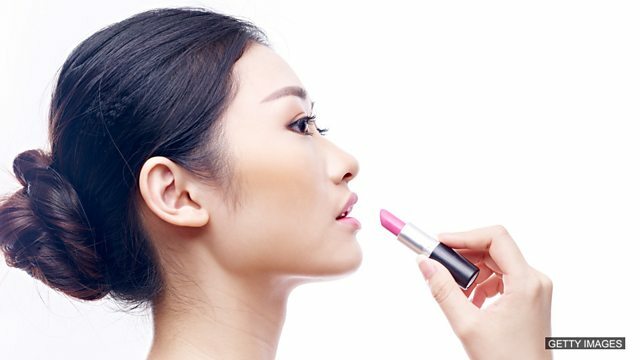 makeover.. 무엇을 만들어내다… 무슨뜻일까요? 자그럼 더 들어보면서 한번 알아보겠습니다. Feifei 와 Catherine 의 대화를 들어보겠습니다. Feifei 가 Catherine 이 ‘looks totally different’ 아주 다르게 보인다고 말합니다. 왜 이말을 했을까요? 그럼 들어보겠습니다. Catherine? Is that you? Wow!! I almost didn't recognise you there! You look totally different! Yes, it's me. What do you think? You look… Different! You've had your hair cut – and it's a different colour! Well yes I do! It's very different to your normal hairstyle! But it really suits you – and it makes you look a lot… Younger! Well yes! Normally you wear quite dark colours… But these are so bright! You look really pretty! 페이페이는 캐서린을 recognise 알아보지 못했습니다. 왜냐하면 캐서린의 모습이 그 전과는 ‘looks totally different’ 전혀 다른 모습 이었기 때문이었어요. 그리고 어떤 점이 캐서린을 더욱 어려보이게 만들었는지 기억하시나요? …네 맞아요. 바로 헤어스타일이었죠. 그리고 캐서린이 입은 옷은 어두운색이었나요? 아니면 밝은색 이었나요? ….네 맞아요 캐서린은 밝은 색상의 옷을 입고 있었습니다. 자 그럼 계속 들어보고 캐서린의 어떤 점이 또 달라졌는지 한번 알아보겠습니다. It's true – but something else is different... Let's see… Aha! Your eyeshadow… Blusher… Lipstick – you've completely changed your make-up! Oh the make-up? Yes, that's different too. Everything's different, in fact! I've had a makeover. A makeover? I said you've changed your make-up. What's all this about a makeover? Yes, I've changed my make-up. And I've changed my hairstyle and the type of clothes I wear too. When you make lots of changes to something so that it looks completely different, fresh, new and much better – you've given it a makeover. Ohhh… You've completely changed your appearance so that you look better, fresher, nicer. That's a makeover a makeover. What verbs go with makeover? Have a makeover, give something a makeover, get a makeover, need a makeover. Catherine 은 자신의 외모와 스타일, 모든 것을 바꾸었기 때문에 전혀 다른 모습으로 보인것이죠. 즉, ‘made herself over’ 자신의 모습을 새롭게 만들다, 꾸미다. 이렇게 표현했습니다. 그리고 모습이 완전히 달라졌기 때문에 그녀는 ‘makeover’ 변신했다. 이렇게도 말할 수 있겠습니다. 이 표현은 비단 사람뿐 아니라, 건물이나 물건 같은 사물에도 makeover 를 사용할 수 있습니다. I was so fed up with the way my husband dressed. He looked so untidy all the time! I threw out all his old clothes and took him shopping for a complete new wardrobe. Now he's had a makeover, he looks as handsome as he did when we first met. This room looks so old-fashioned! It really needs a makeover. Yes, if we paint the walls and change the curtains it will look so much better. So not only people but also things can have makeovers. I'm quite happy with the way I look, thanks. I don't think I need a makeover. Colour change maybe? A little bit of red here and there? I do not need a makeover. Well, if you change your mind, you know where I am! Now I must be going, I'm going to give my living room a makeover and there's a sale on at the furniture shop. Well, good luck with that Catherine. 그럼 이제 Catherine 은 그녀의 방을 makeover 하기위해서 가구매장으로 가려고 합니다. 여러분들도 혹시 외모를 Makeover 하신적이 있나요? 혹시 집에 있는 방을 makeover 하신적이 있나요? 만약에 하신다면 어떻게 makeover 를 하시겠습니까? 그럼 다음 이시간에 ‘English Expressions’ 에서 다시 만나겠습니다. See you next time! 주어진 질문을 풀어보며 배운 내용을 확인 해 보세요. 이 단어를 사용해서 '집을 꾸민다' 라고 표현 할 수 있습니다. Which is the correct definition of 'makeover'? 'Makeover' 는 '사람 그리고 사물을 꾸민다' 라고 표현 할 수 있습니다. Which of these sentences make sense? Make 와 이 단어를 합쳐야 합니다. 그럼 다음 에피소드 에서 다시 뵙겠습니다.